Don’t forget that Emily’s 3rd Annual BandAid Drive is going on right now. It started on November 1st and going on through November 30th, however we will accept them through the middle of December when we present them to the hospital. Emily’s Bandaid Drive started 3 years ago when she was in the hospital and had been poked and the nurse went to put a regular bandaid on her. Emily wasn’t happy about the boring bandaid, so I asked why they didn’t have any fun bandaids, only thinking that they didn’t order them. The nurse explained that the hospital does not buy these, and that they are donated, but they normally do not get enough donations to make it throughout the year. When Emily heard this, she wanted to help the hospital collect bandaids and this started our bandaid drive 3 years ago. The bandaid drive continues to grow each year, and many local schools have become involved getting the children involved and many local shops, vets and doctors office help. 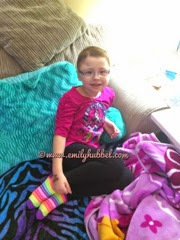 But because Emily has a blog and many people from everywhere follow her blog, we also started working with smilemakers.com 3 years ago and they have a special from November 1st through the 30th, if you use the code Emily10, you will get 10% percent off bandages and free shipping. If you want to help out Emily with her 3rd Annual BandAid Drive, please mail your bandaids to : The Hubbel Family, PO Box 5383, Midlothian, VA 23112. Each year we have been able to help more hospitals with bandaids. 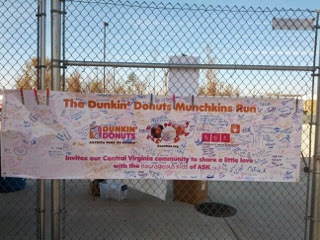 Thank you so much for your support in helping Emily continuing to bring a smile to all the kids fighting in the hospital. She had a birthday party to go today to one of her best friends! and we told her to be safe she should not attend. We are glad she didn't because she has been very exhausted tonight. But we let her drop off her gift to her before her birthday party and it made both of the girls days to see each other. At 730 tonight Emily was already asleep. Temps are fluctuating between 99-100 so it seems it may be another night of watching her temperature, Emily normally remains on the lower side of temps. This normally means setting the alarm clock quite frequently thought the night to check her temp. So with the holidays coming up, we have decided to keep the girls home from school Monday and Tuesday so that hopefully they will both feel ok and have a great Thanksgiving with family. Please continue to keep our girl in your thoughts and remember to hug and kiss your kids and tell them how much you love them. Emily had a clinic visit today!! They did a count check for labs, checked urine markers and vitals. Emily gained almost another pound which is great! Her blood pressure was up today and we haven't seen a high blood pressure in a while. Dr Gowda wants Emily to have an echo within the next month to see if anything has changed since we have not had one in 2 years! Labs came back and WBC, platelets and ANC have all dropped a little bit, nothing of huge concern, just gotta watch the trends and see what is happening. It is odd that they have dropped but they are all still in good numbers that Emily is fine. We did talk about ferritin levels which are high but he explained that they are most likely high from many transfusions and some of the chemo she had he said if they continued to go up he would need to give her medication so it would not affect the liver. HMA/VMA will be back next week sometime so we wil be able to see her urine numbers and how they are looking! Next week is Thanksgiving and we look forward to spending time with family! It will be nice to have family time. We hope all of you have a wonderful Thanksgiving! Don't forget you have until November 30th to collect bandaids for Emilys 3rd Annual bandaid drive! She was so excited to see Frozen Bandaids because we know so many girls love Frozen. After talking with the clinic today we heard that they don't see a lot of boy brand bandalds and horses. So if you want to help out you have until the 30th to send to our PO Box. We leave Monday, December 1st for scans!! Don't forget to wear your Emily gear on December 4th the day Emily has her scans and we get results.. Continue to keep Emily in your thoughts! Remember to hug and kiss your kids and tell them how much you love them. Gonna try this update again, started on this earlier, and I lost everything I wrote. So hopefully this time, I won't lose it. I was going back looking to see the last update, and the last update was in August, wow guys, I am sorry. If you are looking for updates, we tend to update Facebook more often, so I apologize. 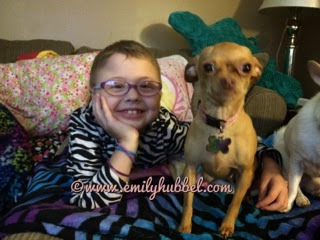 But you can go to Facebook at www.facebook.com/emilysjourney. 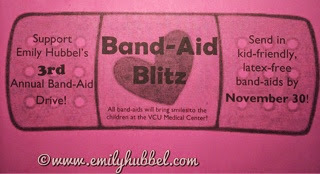 November 1st, started Emily's 3rd Annual BandAid Drive. Emily's bandaid drive started 3 years ago, which is so hard to believe. We started this because one day we had clinic and Emily had been poked and was wanting a cute bandaid, which always turns the frown of getting a shot or poked into a smile, the clinic was all out of them and they had to give her a brown bandaid. I remember asking the nurse why they didn't have any character bandaids and she said because the hospital only purchases regular ones and character ones are donated but that they normally don't get many. Emily said she wanted the clinic to have character bandaids for all of her friends so that they could all smile and this is what started the bandaid drive. Every year it has become more successful and we have added in other hospitals each year to help out as well. The first year we collected about 3000 boxes and the majority of them went to Childrens Hospital of Richmond, but some of those went to Childrens Hospital of Pittsburgh and we also sent quite a few of them to New York for Hurricane Sandy Victims. Last year we collected just a few over 5000 boxes and many of those boxes again went to Children's Hospital of Richmond, Childrens Hospital of Pittsburgh, University of Virginia Childrens Hospital, Childrens Hospital of the Kings Daughters and Renucci House in Grand Rapids, MI. We have a few boxes left from last years that we will be taking to Helen DeVos Children's Hospital soon. If you are interesting in bringing a smile to all the kids fighting in hospitals who have to get poked, please send fun, character, colored bandaids that are any shapes or sizes and if possible latex free still intact in the boxes to: Hubbel Family, PO Box 5383, Midlothian, VA 23112. I promise you the bandaids definitely go to good use to our hospitals and the kids love them. Please keep spreading the bandaid drive and send a few boxes in. We would love to see the drive get more than 5000 boxes this year. There are so many schools involved, many veterinarian's offices, small doctors offices, and many other places. Please help if you would like to bring some smiles. They definitely bring smiles to Emily to help the hospitals. The last few months since we have last updated have been pretty busy. Emily, her sisters, Doug and I got to meet family that we have never met before. They got to meet their grandfather and grandma (grandad and Mimi), great grandma, great uncle and aunts and uncles. The girls have definitely loved meeting them and enjoying spending time with them. There is still plenty of family that we have not been able to meet, but in due time. 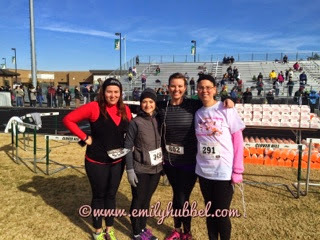 The best part of meeting family that we have not met is having a bigger family and also that they are behind Emily's Journey and supporting her. The last few months we have had a few clinic appointments as well as eye appointments and kidney and liver checks. Her counts are looking great and continue to go up, actually the last clinic appointment her platelets were 193. WOW. That is amazing. She was having lots of headaches that she was complaining about, so we had a couple of eye appointments and determined that she needed glasses, and since having them she hasn't been complaining as much, only hear and there. So that makes us feel better. She was pretty nervous at first about having the glasses and wearing them to school, because she thought the kids were going to make fun of her, but she hasn't had any problems and she looks great in glasses. Her kidney and liver numbers continue to look ok but we also check her urine markers. Those too have seem to remain stable since our last time in Michigan. She does still complain of dizziness from time to time with the headaches. This is the first year that Emily has been able to go to school everyday. She is in 2nd grade, but has never had where she has been to school everyday and both Kindergarden and First Grade she was at home more than she was at school. She is definitely enjoying the fact that she is at school and getting to meet other kids and have more friends. She loves her friends and enjoys having playdates with them. The biggest thing that Dad and I are noticing is her short term memory. She forgets things that happen during the day very easily. She also said she has noticed that she can't run as fast and keep up with her friends. But again she is happy to be attending school and only having to go to clinic a couple of times. Dad definitely enjoys going to have lunch with the girls as often as he cans, and also does WATCHDOG at the school where he is there all day and can spend some time with the girls in their classes. It is nice that he can do this though, because he can really see what is going on at at school. Overall though, Emily's quality of life has been great and we are so happy with where she is. We continue to hope that this is how things will stay. We have a busy rest of the year coming up though. Thanksgiving is coming up and the we are all excited about getting to spend time with family that we don't get to see often, so we are all very excited about this. 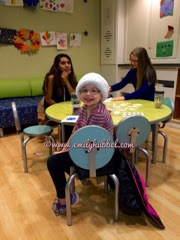 Right after Thanksgiving, we have scans in Michigan at Helen DeVos Children's Hospital. So we will be ready for travel to leave VA on Monday, December 1st with a stop over in Pittsburgh, PA and then continuing on Tuesday, December 2nd to Grand Rapids, MI. She will have clinic with accessing her port, labs and urine markers, as well as hearing test and MIBG Injection on Wednesday. 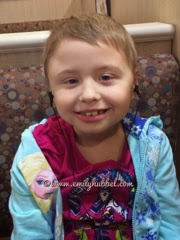 Thursday she has her MIBG/CT scan and we meet with Dr Sholler after scans for results. Depending on results she may have a PET/CT scan schedule with bone marrow biopsies. We continue to hope that her scans are stable or better and that she can continue on her current trial of compassionate use of DFMO. So we are heading for another 1500 mile drive, so if any of you would like to help with Gas Gift Cards, they really come in handy in our travels (Exxon, Sunoco, Shell, BP, Sheetz and only a few of Wawas are definitely ones that we pass), or grocery gift cards. These would definitely help with our travels and definitely thank you guys so much for all of your help. 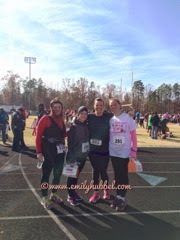 If you would like to help, please mail them to: Hubbel Family, PO Box 5383, Midlothian, VA 23112. If you have any questions, please email me at shannon@emilyhubbel.com. 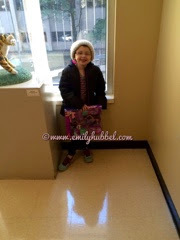 Its hard to believe that on December 23, 2014Emily will have been fighting neuroblastoma for 4 continuous years. This girl continues to amaze us and all that she does. And she continues with a smile. She asks us often when she will be done with treatment and when she can take her port out, and Dad and I both wish we had an answer for that, but we continue to tell her that she is doing a great job in all that she is doing. 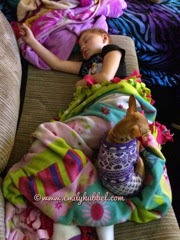 Please continue to keep Emily in your thoughts as we are coming up on scans. 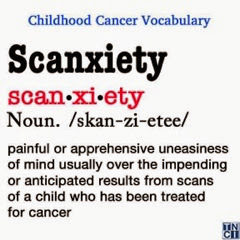 Anxiety is going to start to build as we get closer and closer to scans like they always do. Please make sure you hug and kiss your kids and tell them how much you love them.